Walt Disney Attractions Technology LLC. Lee Odess serves as the Vice President at UniKey Technologies. Formerly Vice President of Marketing and Enterprise Sales for Brivo Systems and Brivo Labs, which was sold in 2015 for $50mm. Brings 17 years of management, marketing, and sales experience with large, mid-size and small software and hardware manufactures. Previously established several startups in the DC metro market, most notably energy + light + control llc, a custom electronics design, installation and integration firm. Graduated from University of Central Florida in 1999 with a BS in General Business. Sasha Weintraub serves as senior vice president of customer solutions for Duke Energy. He is responsible for aligning customer-focused products and services to deliver a personalized end-to-end customer experience that positions Duke Energy for long-term growth. His duties include retail programs, enhanced basic services initiative, rate design and analysis, customer regulatory strategy and analytics, and data analytics. He assumed his current position in October 2015. 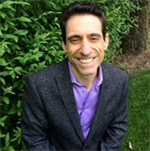 A native of New York City, Weintraub earned a bachelor’s degree in engineering from Rensselaer Polytechnic Institute, a master’s degree in engineering from Columbia University and a doctorate degree in engineering from North Carolina State University. He is also an adjunct professor at the Kenan-Flagler Business School at the University of North Carolina at Chapel Hill. Jone Burr is currently the Engineering Director for the Data Center of Excellence at Nielsen. Nielsen is one of the premier research companies in the world. Her team covers all aspects of data analysis for Engineering including television, digital and audio measurement of media consumption. The team's responsibilities include data visualization, statistical analysis and machine learning development. 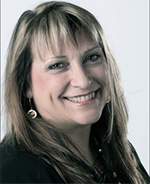 Jone joined Nielsen in 2008 as a Certified Six Sigma Master Black Belt from Ford Motor Company. She then moved on as a Director of Statistical Analysis in Data Science. Jone received a B.S. from Syracuse University in Operations Management and a Master's degree from the University of Michigan in Industrial Engineering. She also holds two U.S. Patents for methodologies related to television viewing measurement. Bob LoGalbo is Chief Data Scientist at Leidos creating at-scale, data-driven production solutions for utility, energy, manufacturing, transportation, and government clients. He is a technology leader with more than 20 years of broad experience in start-up, growth, and large-scale businesses. As a data scientist and wireless engineer, Bob provides leadership, research, product development, consulting, and corporate strategy. His inventions have generated more than 50 U.S. patents with 10 currently pending. 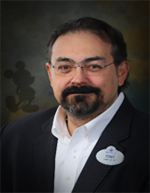 Rich Pepin is the Director of the Experience Insights and Analytics team at Walt Disney Parks and Resorts. Rich spent the first 20+ years of his career in analytical and leadership positions in the field of market research/consumer insight ensuring that the voice of the consumer was considered during key business decisions. About one year ago, Rich transitioned into his current role leading a team responsible for harnessing guest profile and behavior data to enhance the guest experience, using operations research analytics to improve products and services at the parks, and performing forecasts to inform labor planning and scheduling. He obtained a Master of Science in Statistics from the University of Connecticut. Robert White, Ph.D., is Director of Research & Analytics at CareerSource Florida, where he directs the development of the Performance Funding Model. Dr. White also collaborates on the Market Intelligence Portal and other data-driven projects with a focus on utilizing data to improve outcomes in Florida’s workforce system. While in graduate school, Dr. White received the James H. Gapinski Award for Outstanding Academic Achievement Among First-Year Graduate Students, the John and Hallie Quinn Endowed Fellowship in Experimental Economics, and the BB&T Bank Dissertation Fellowship. While teaching Intermediate Microeconomic Theory, he received the Thomas S. McCaleb Fellowship for Excellence in Upper Division Economic Education, the Dewey F. Bartlett Fellowship for Excellence in Economic Education and the Charles Rockwood Graduate Student Teaching Award. Dr. White graduated with honors from Florida State University with a bachelor’s degree in economics and mathematics, and a master’s and doctorate in economics. Tony Ambrozie serves as Senior Vice President, Technology, Engineering Excellence & Emerging Technologies for Walt Disney Attractions Technology LLC. Tony’s Engineering Excellence group is responsible for the development of technical reference architectures, new technology innovation, information and data solutions development, continuous delivery implementation, information security, hardware engineering and automation, operations, release management and service availability for Walt Disney Parks and Resorts (WDPR). As co-chair for WDPR’s Information Management Steering Committee, Tony leads the ongoing prioritization and integration of data and analytics strategies, leveraging the work of his Information Advantage organization that designs, develops and supports enterprise data management solutions. He also co-sponsors Disney’s annual Data & Analytics Conference, bringing together internal and external thought leaders to share evolving ideas and innovations in the data and analytics field. Tony holds a dual MBA and master’s degree in information management from the W.P. Carey School of Business at Arizona State University. Suresh currently serves as the leader for Deloitte’s Analytics + Information Management practice at US-based Delivery Center to provide scalable, cost effective and high quality solutions to the clients. Furthermore, Suresh continues to serve as the lead for the Information Management Center of Excellence dedicated to innovation, quality and differentiating Deloitte‘s clients in the marketplace. He is widely recognized for his successful delivery of large and complex Business Intelligence and Data Warehousing solutions to clients across a broad spectrum of industries and sectors ranging from State Government and Defense to Healthcare/Financial Services and Aerospace. Suresh has over seventeen years of experience providing innovative Information Systems Design/Architecture and Data Warehouse Architecture solutions with an emphasis in Analytics across multiple domains; including Data Warehousing, Data Quality Solutions, Master Data Management and Performance Management. 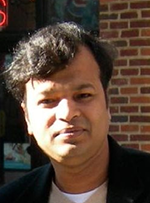 He is based in New Jersey and lives with his wife, Radhika. As the Director of Central Operations, Alex Chatfield’s focus is concentrated on operational efficiency, product delivery, budgetary responsibility, organizational strategy and distributed development. Chatfield also manages areas of the organization such as the Analytics department, distributed development, the studio’s outreach to the community for STEAM education (Science Technology, Engineering, Art and Math), and works to provide a comprehensive training program for leadership development as well as the development of employees. Additionally, Chatfield maintains studio operation responsibilities/relationships including Facilities and Global IT, Finance, Global CDS and Human Resources. Chatfield joined Electronic Arts in April 2001, working on the studio’s NASCAR® title for PS2 and the launch of the Xbox platform. He then spent several years working as the development director for the Madden NFL™ Football franchises, NCAA® Football and NASCAR®. Eventually, Chatfield took on more global roles by creating the department of resource management, as well as developing and installing a comprehensive management and leadership development program for the studio. Chatfield was awarded a Master’s Degree in Psychology from Walden University and received his Bachelor of Fine Arts degree at Otterbein College. Chatfield resides in Orlando with his wife Julie, and two children Jessica and Savannah. Mr. Gellis started in the analytics and technology industry over 15 years ago working for companies such as MyFamily.com and Omniture (now Adobe) where he helped build out their Implementation Services, Proof-of-Concept, and Sales Engineering groups while managing an active portfolio of their largest clients. As Founder and CEO of Keystone Solutions Mr. Gellis has built one of the most innovative Digital Data Agencies in the country. Keystone provides comprehensive strategies, governance, analytics, and digital intelligence solutions to some of the largest companies on the Internet including Equifax, Staples, Home Depot, NBA, Cartoon Network, Fiserv, CNN, TBS, TNT, Johnson&Johnson, PGA, NHL, HomeAway, and many others. With a new development and training center scheduled for 2017 in Orlando, FL and offices across the US Keystone Solutions is partnering with educators, facilities, and our global Enterprise clients to provide comprehensive training, on-the-job work projects, placement, and other services for the data industry. 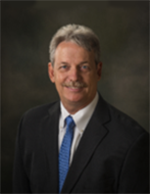 Marlin W. Hutchens is an internationally recognized executive. His professional background includes a record of distinguished accomplishments in the retail industry having opened an impressive number of new markets for Walgreen Drug Stores. Continuously on the move, Mr. Hutchens led initiatives that generated multi-billion dollar results that made him a historical contributor to the success of the Walgreen’s mission. 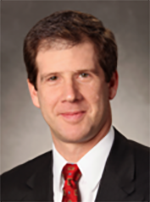 During his impressive tenure with Walgreen Drug Stores, Marlin developed a reputation as a strategic thinker for successfully overcoming significant challenges in business transformation through the integration of Information Technology in store operations. 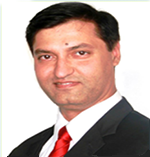 He is highly respected for delivering the first Central Pharmacy Fulfillment Process in the United States. Moreover, he is one of the few executives in his industry to recognize very early the potential of “big data” for improving competitive performance. The University of Central Florida accepted a recommendation for introducing a “big data” academic program that would benefit business in Central Florida. 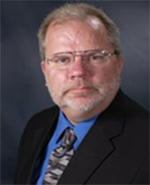 He is a member of the University of Central Florida “big data” advisory committee. Recently, Marlin moved from his envious career in retail to become the Chief Executive Officer of the iSOD™ Corporation, a company dedicated to delivering rapid solutions On-Demand for an impressive range of challenging problems using digital delivery. Now Marlin is working to improve the world around him by delivering intelligent Solutions On-Demand™. As the CEO of the iSOD™ Corporation, Marlin is committed to radically transforming the training, development, consulting, and coaching industries by eliminating the gap between problems and their solutions using a new model of “Context-Based Learning” developed by Dr. Newkirk. Marlin’s interest in the value of “big data” made the move from Walgreen to the iSOD™ Corporation a natural progression of his life-long interest in technological innovation and business strategy. 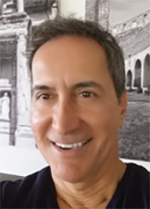 Mr. Intintolo is a public sector executive advisor boasting over twenty-five years of successful program modernization, market development, and system transformation delivery. 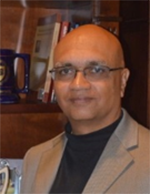 He has assisted numerous government agencies, institutions of higher learning, and care service providers modernize policy, process, and operation utilizing state‐of‐the‐art technologies towards improving citizen outcomes through advanced insights. Uday has over 16 years of technology consulting and solution implementation experience in delivering large transformational initiatives spanning across analytics & information management spectrum. 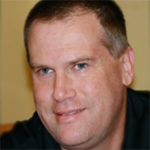 His expertise spans across enterprise data warehousing, data management, data integration, business intelligence and analytics across on premise and cloud implementations. His vast experience includes solution design & delivery, program management of large scale global implementations as well as managed services engagements. His diverse primary client base spans across financial services, healthcare and government businesses. Currently, he serves as one of the key leaders in Analytics + Information Management practice of Deloitte Consulting at its US Delivery Center. He is responsible for establishing newer delivery capabilities in analytics space and expanding the practice besides delivering engagements for his clients. He is based in Orlando, FL and lives with his wife, Jasmine & daughter, Peony. Bob Kilmer is Vice President of Engineering and Technology for the Training and Logistics Solutions (TLS) line of business (LoB) for Lockheed Martin Corporation. In this capacity he is responsible for directing the engineering strategy and performance of all TLS programs while providing best-value technology, designs, and product support. He also is responsible for integrating capabilities across the Rotary and Mission Systems (RMS) business area, developing the engineering people, processes and tools to meet the needs of the TLS customers. Previously, Mr. Kilmer was Chief Architect for the Ship and Aviation Systems (SAS) LoB from January 2010 to July 2015. In that role, he was responsible for driving the SAS technical strategy to deliver innovative solutions and common products across the SAS market segments. He also served as the Mission Systems and Training (MST) LM Fellows coordinator, helping reshape the MST LM Fellows portfolio to better support the MST business needs. Mr. Kilmer holds a Bachelor of Science degree in Physics and a Bachelor of Arts degree in Mathematics from Binghamton University and a Master of Science in Electrical Engineering from Syracuse University. David brings more than 25 years of experience as an entrepreneur focused on providing actionable insights and technology to the philanthropic community. David created the first asset-based wealth screening service as well as the first database to manage wealth screening results. In 1997 he founded Prospect Information Network (P!N) which became the largest wealth screening company, and received the InfoCommerce Model of Excellence Award before being purchased by Kintera in 2004. David served as a Senior Vice President of Kintera until 2008. In 2013 he co-founded NewSci, LLC. to bring Big Data and cognitive computing to the philanthropic community. NewSci was one of the first companies to develop a commercial application using IBM Watson. He has written numerous articles for publications such as The Chronicle of Philanthropy, The Nonprofit Times, CASE Currents and APRA's Connections. David is a member of APRA, AASP, and a recipient of the CASE Crystal Apple and APRA Distinguished Service Awards. David is also the Co-Founder of WorkingPhilanthropy.com and Domi Ventures, and a Member of the Technical Advisory Board of Agile Equity. 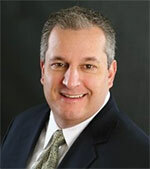 Steve currently serves as the Chief Engineer and Senior Vice President for All Points Logistics. As the Chief Engineer, Steve serves on the Executive Steering Committee for corporate oversight. In his role as Senior Vice President, Steve’s responsibilities include leadership and oversight of the company’s portfolio of contracts for customers such as NASA, MDA and NSA. Steve has over 28 years of aerospace experience and has been with All Points since 2012. Steve started his technical career working in the oil and gas industry in 1981 performing seismic exploration for both land and sea operations. After leaving the oil and gas industry in 1987, Steve moved back to his home state of Florida and joined the Space Shuttle Program at Kennedy Space Center working with Lockheed Martin Steve assumed the position of Avionics Principal Engineer, with responsibility for the oversight of all associated Shuttle flight and ground systems. During Steve’s KSC career he supported over 75 Shuttle missions, and was recognized for his support and received both the Space Flight Awareness and Silver Snoopy Awards. Steve graduated from the University of Central Florida with his Electrical Engineering degree. Randy Ozden is President and CEO of Vivantech, creators of Streamlyne Research, eRA software for empowering efficiency in research administration. Randy previously served as Director of European Operations for Alltel Corporation, and later as the VP of Professional Services at NCR Corporation. He holds two patents on data privacy. Cloud Computing, Distributed computing and analysis, algorithm development, data visualization, Machine Learning, Data Analytics including streaming analytics (FPGA). Before AWS, I worked as an experimental physicist for ~15 years and have vast experience in data analytics, advanced algorithms involving streaming analytics using FPGA as well as created distributed computing technologies at labs like Brookhaven, CERN and DESY. Co-author of several published studies involving: Machine learning : Neural Networks, Regression, Linear Discriminant, Boosted Decision Trees, etc. Statistical analysis: Predictive modeling, Bayesian statistics, Hypothesis testing, etc. Interoperability, Virtualization of Computing Resources & Resource management. Amish has been with IBM for 18 years and is the leader for Cognitive Solutions - US Federal Market. He works with Government clients advising them on ways to address key business challenges, driving better business outcomes (counter terrorism, immigration & border protection, crime prediction & prevention; threat prediction & prevention; AML; social unrest; et al), lowering operating expense and improving efficiencies at all levels of the organizations. He has extensive experience working with intelligence, immigration and border control, and law enforcement agencies around the world. Sanjay Patel is the CEO of Datanautix. His expertise is in the area of “story telling” using big data and, more specifically, in quantifying qualitative data. His company develops artificial-intelligence based systems that interpret large volumes of open-ended comments in seconds. He has over 20 years of experience in the customer experience industry, and has previously lead the venture-backed customer experience company iBackOffice from inception to a successful acquisition. Sanjay holds an M.S. in Computer Science from The Ohio State University as well as an M.B.A from Yale University. Mr. Patz is a Founding Partner and Managing Director at the FAN Fund, an early stage investment fund focused on finding and supporting technology startups in the state of Florida. The FAN Fund has been in operation since October 2015. Prior to starting the FAN Fund, Mr. Patz was Chief Operating Officer for Presidio Networked Solutions, a multi-billion-dollar Information Technology solutions provider. He joined Presidio through the acquisition of Coleman Technologies, Inc. in 2009, the firm he co-founded and ran as CEO. At CTI, he grew sales to $250M while staying active in technical pursuits such as leading the UCF/CTI team to the finals of the DARPA Urban Challenge, an autonomous vehicle competition. Mr. Patz has also been principal investigator on several SBIR grants relating to the application of Fuzzy Logic and Neural Networks to control systems. 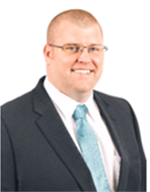 He has a BSEE from Rensselaer Polytechnic Institute and MSEE degree from the University of Central Florida. He was Ernst & Young’s Entrepreneur of the Year award for Florida in 2002 and received UCF’s Professional Achievement Award in 2006 and 2016. 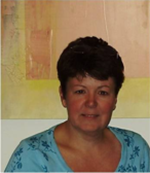 Susan has been a writer, analyst, and IT entrepreneur for over 30 years. Named as one of Fast Company’s “Most Influential Women in Technology,” her insights have been featured in industry research, as well as mainstream media such as The New York Times, Businessweek, The Wall Street Journal, and CNBC. Her interests are in disruptive applications of technology and the consumerization of IT. Susan participates on various industry conference boards, blogs for Huffington Post, and devotes her time to introducing disruptive technologies and new processes to combat the social epidemic of domestic violence and abuse. You can find Susan on LinkedIn, Twitter, G+. Her complete social footprint is available on her About.me profile. Bill Stueber is a wireless industry expert. 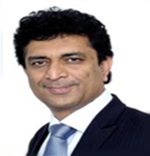 As the Senior Partner of Telecom Partners Group, he is a leading global debt & equity telecom analyst. A former CEO of both public and private wireless telephony companies for 34 years, Bill possesses the ability to provide clear, uncommon insights into complex issues with a depth of experience and expertise that ranges the entire wireless ecosystem - not just pieces. TPG provides structured, custom research, valuations, analysis and proprietary database access - each possessing an unparalleled level of actionable insight stemming from our 30+ years of deep wireless telecom experience and perspective. Husband and father of four. Entrepreneur. Physicist and Combinatorial Innovation enthusiast. I work as a software architect and developer, designing and providing solutions with a primary focus on the Internet of Things, on Machine Learning, Database Systems, and any combination of those three elements. TomorrowData (http://tomorrowdata.io/) co-founder (2013-today). Lead developer in more than 30 projects about Automotive, Banking, Pharmaceutical, Energy, Telco (Freelancer, 2008-today). Software product manager in the area of building automation (SAET IS Srl, 2004-2008). Technology consultant in the Financial Services business unit (Accenture, 2000-2004). 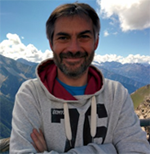 Researcher (PhD theoretical physics SISSA Trieste, 1996-2000). Dr. Donghui Wu is currently lead data scientist at Blue Health Intelligence headquartered in Chicago, which hosts the largest and most comprehensive, integrated medical and pharmacy claims data repository from 29 Blue Cross Blue Shield companies. Previously he was the Chief Data Scientist of Healthcare and Life Science at Knowledgent Group, a big data consultancy headquartered in New York. Prior that, he was Senior Director of Statistical Modeling at LexisNexis Risk Solutions | Health Care, Headquartered in Atlanta. He has led and developed world-class predictive analytics products for Population Health Management, Physician Performance Management, and Payment Integrity for over a decade. He also taught graduate courses in data mining at University of Central Florida. Dr. Wu co-organized Big Data Analytic Technology for Bioinformatics and Health Informatics Workshop at IEEE BigData 2016, ACM BCB 2015, and ACM KDD 2014. 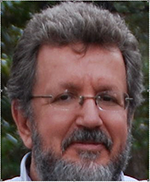 He has served on many conference program committees and is the general conference chair of IEEE SoutheastCon2012. He spoke frequently at academic and industrial conferences and at universities, and published in premier journals and conferences in machine learning, data mining, statistical computing, clinical informatics and health research with more than 2000 citations according to Google Scholar. He is the receipt of IEEE USA 2015 Regional Professional Leadership Award. He received his Ph.D. and M.S. degrees from Rensselaer Polytechnic Institute, Troy, New York.